DDB announced today it has hired Ari Weiss as its first chief creative officer of North America, effective Feb. 1, 2017. Weiss joins DDB from BBH New York where he worked for six years, most recently as the agency's chief creative officer. In his time there Weiss helped his team score 24 Cannes Lions and worked with clients including PlayStation (he came up with the "Greatness Awaits" line that won BBH the business), Seamless, Axe and Netflix. Prior to joining DDB, Weiss built his career at agencies including BBDO, Wieden + Kennedy, 180LA, Goodby, Silverstein & Partners and Cliff Freeman & Partners. Over that time he worked on brands ranging from Guinness and Sony to FedEx and ESPN. 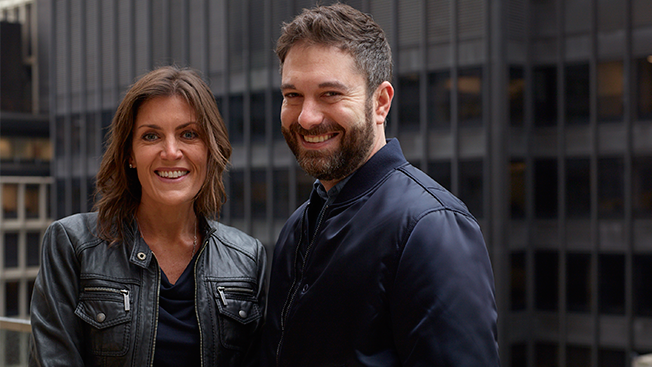 Wendy Clark, CEO of DDB North America, said she was looking for someone who had a body of work that was "transformative for the brands he had worked on." Weiss was the perfect fit. "If you trace his career, everywhere he has gone, good work has followed him," she added. Clark joined DDB nearly one year ago and noted that if she had tried to hire someone from the newly-created role when she first started it would have been premature. "I don't think I could have had a conversation with Ari [Weiss] a year ago and compelled him to join us. We needed to create an environment that had the momentum," she added. Beginning in 2017 Weiss will have the opportunity to help DDB create work for some of the its newest clients, including McDonald's, which the agency won in August after a competitive, four-month-long review. DDB took over as creative agency of record from Leo Burnett. "We're always looking to make better and better work. That goal never ceases no matter where you are," Weiss said. "Chemistry is everything and when you find that chemistry you want to put it to the test."